Whether you are a first time importer or an experienced multinational corporation, the importation of cargo can be a complicated and frustrating process. There are a multitude of import requirements and government regulations to be navigated and the misclassification of your merchandise or the mismanagement of your cargo can result in costly storage charges, fines, penalties or even seizure. In order to simplify this process and avoid delays and the additional costs associated with them, it is extremely important to obtain the services of a knowledgeable and experienced Customs Broker. 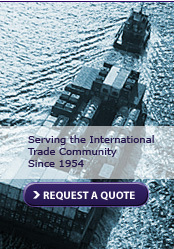 Sack & Menendez has served the international trade community for over 50 years and will provide you with an exceptional level of personalized service. Over one-third of our experienced and knowledgeable staff members are licensed customs brokers and most have been in the industry for over 20 years. We have worked extensively with a wide range of commodities and are capable of arranging the clearance of your shipments at every major port in the US. We understand the impact that timely release of your cargo has on profitability. Regardless of the commodity or mode of transportation, at Sack & Menendez we are committed to giving you and your import shipments the time and attention required to expedite the process and we will do everything in our power to avoid the costs associated with delays and non-compliance. As an independently owned customs brokerage and outside logistics provider, Sack & Menendez can act as your unbiased partner who will help you identify potential problems or bottlenecks in your importation process and help you to resolve them accordingly. Whether its discussing classification with Customs or delivery charges with a cartage company, we are dedicated to acting as your advocate at every stage in the importation process. We stand ready to be of service to you.